As a photographer you're always looking for the new, interesting and exciting. I was lucky enough to find all three at the Aston Martin press day, BIRA Circuit Raceway, Thailand. BIRA holds various unique Motorsport events for car enthusiasts throughout the year. Aston Martin was one such event, aimed at press coverage for the new release of their 2015 luxury car and coupe models. And, a chance for press and buyers alike to experience Aston's cars first hand. Aston Martin is best know for its prestige name and quality British engineering; crafting, arguably, some of histories best looking motor vehicles. Aston martin cars have appeared in many films, with its most well known of these a cameo appearance by the Aston Martin DB5, driven by James Bond in the movie Goldfinger, where Aston Martin's name became rooted firmly in the archives of popular culture. 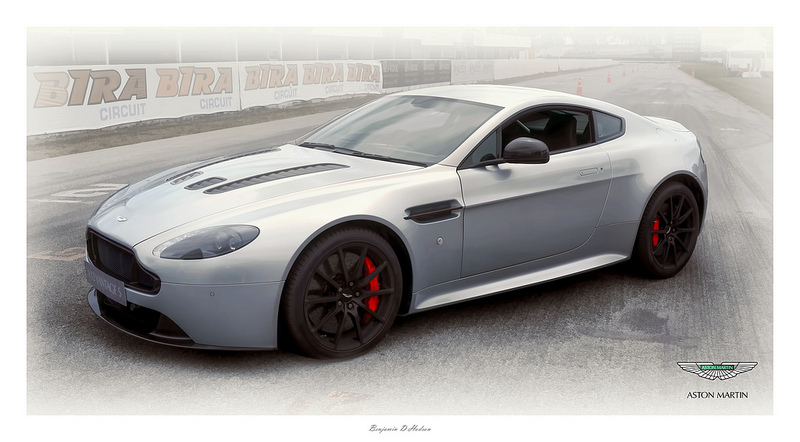 The head of this years line-up was the Vantage V12 S and the new Aston Martin DB9 series. Also on show, a 2015 Rolls-Royce Ghost Series II, Wraith and Phantom. The following set of images have been processed using High Dynamic Range & Tone Mapping (HDR) and Photoshop. HDR is a relatively new style of editing photographic images. For more information on this process please visit my post, "Creating High Dynamic Range". Furthermore, If you are interested in purchasing a signed and certified print(s) please feel free to contact me.